The year was 1975, and Porsche’s mid-engine 914, the “people’s Porsche” had failed to make much headway in the sports-car market since its 1970 debut. A substitute was coming as the radical 924, but it wasn’t quite ready yet, so the 912 designation was brought back to anchor the Porsche lineup while the last 914s quietly exited the showrooms. 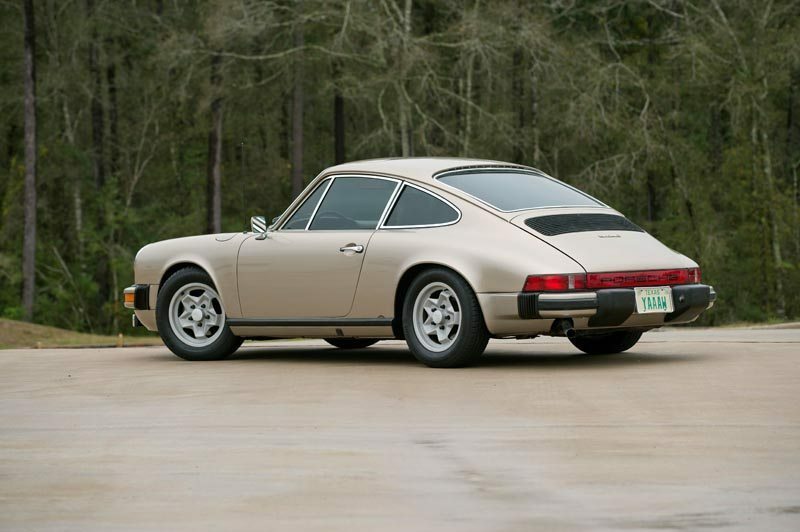 Little did Porsche know that the 1976 912E would become more collectible than the vehicle that it replaced. The new 912 was 100% Porsche, and was no mere rerun. For one thing, it was now called 912E—E for einspritzung, or fuel injection. It carried the 2.0 liter VW four available in 914s after 1972. 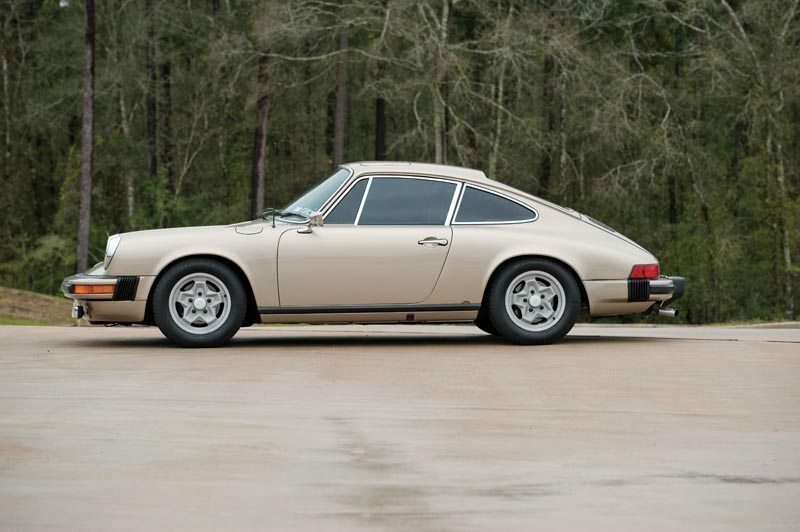 While that change was dubious to some, the 912E featured all of the body and chassis improvements accorded the 911 since ’69, and offered a ton of performance for a far lower investment than a 911. “The 912E will obviously find favor with those who prefer a slightly more practical and tractable Porsche,” predicted Road & Track. Horsepower was 86 at 4900 rpm, and curb weight was 2395 pounds, and the car’s 11.3-second 0-60 mph time and 115-mph top speed looked pretty good against the observed 23.0-mpg economy. Only 2099 were built, with just 500 sunroof cars, making this 912E one of the most collectible four-cylinder Porsches ever. Photographed today is 1976 912E #2022, a sunroof coupe with 3 owners from new. 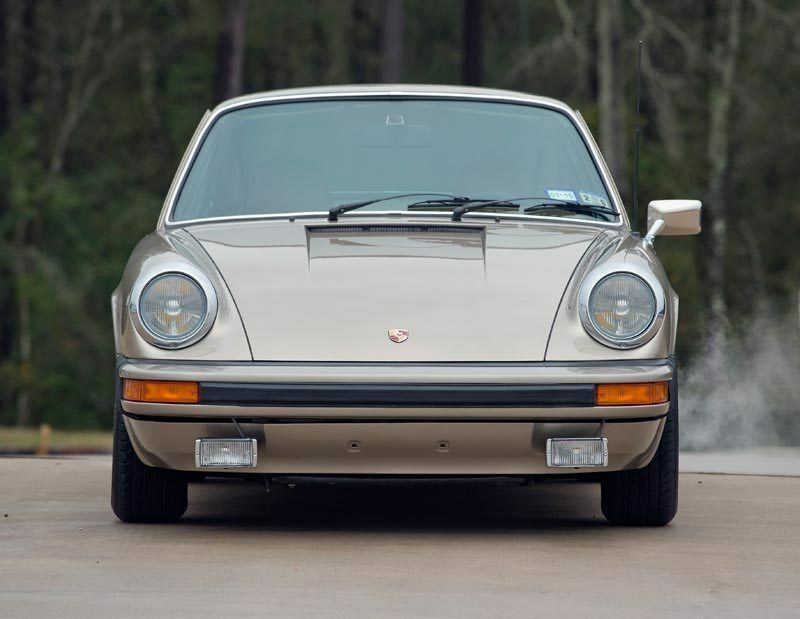 The car was originally purchased at Sierra Porsche in Riverside, CA on 8/13/1976, was sold to owner #2 who moved the 912E to a small town near Sedona, AZ, and the owner purchased #2022 in 2013 and moved the car to Austin, TX. The body is solid and shows no signs of previous rust repairs. The original owner repainted the entire car with the engine and all windows out in 2008, and overall, the bodywork remains excellent and the finish looks great. 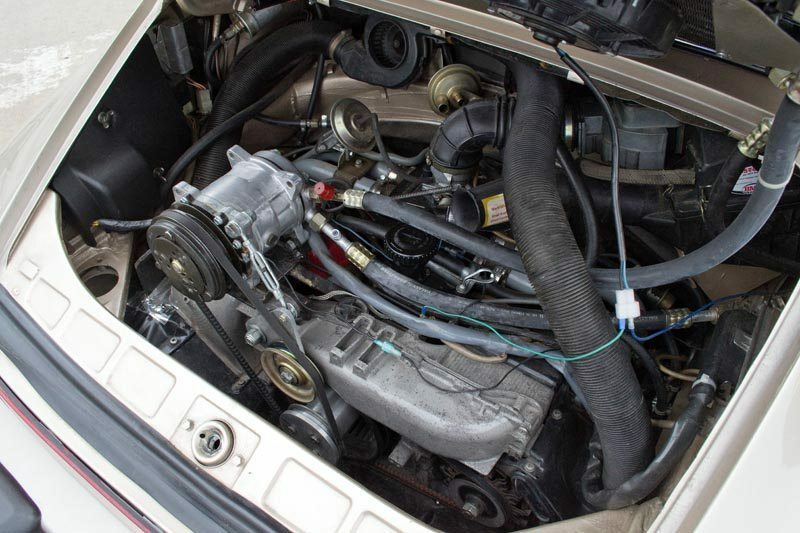 The engine was fully rebuilt in 2007 by an experienced 912 engine builder and registry member. The rebuild included new heads and the Raby Enterprises engine kit and full receipts accompany the car. The engine runs strong and revs freely. A “Porsche air” air conditioning upgrade kit is installed with the original under dash vents and A/C controls retained. The A/C works with the tinted windows to keep you comfortable even on the hottest day. The interior is in excellent condition. The dash is original and crack free. The door panels and pockets are original (including original speaker holes with original speaker covers) and are likewise in excellent condition. The original Blaunpunkt FM radio works well and is displayed with the car, but a Retro Classic unit with iPhone hook up and Bluetooth was installed for modern convenience. The interior is finished off with new headliner, sun visors, proper coco mats, and restored original seat covers. New radials are mounted to Porsche 15” cookie cutter wheels, all with a 1976 date stamp. The owner has retained the original 14” Fuchs that came on the car, and even the spare tire is original. The full Porsche tool kit is displayed with the car, as well as the factory window sticker, brochures, sales tags, and instructions. 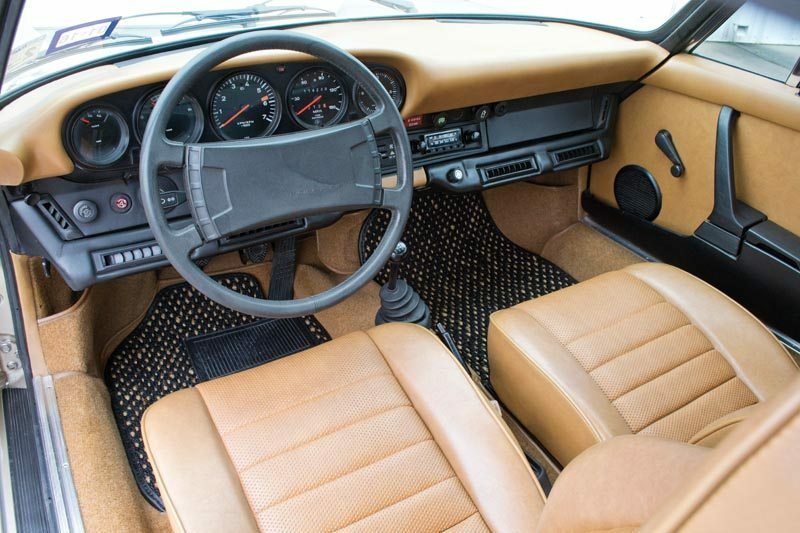 This 912E has remained mostly original with a few tasteful but practical upgrades. She’ll cruise all day at Texas highway speeds, and provide the modern comfort of rebuilt seating and updated A/C that allows full enjoyment even on a hot Texas day. If you have an exotic Porsche or another collectible you’d like to insure with us, let us show you how we are more than just another collector vehicle insurance company. We want to protect your passion! Click below for an online quote, or give us a call at 800.678.5173.